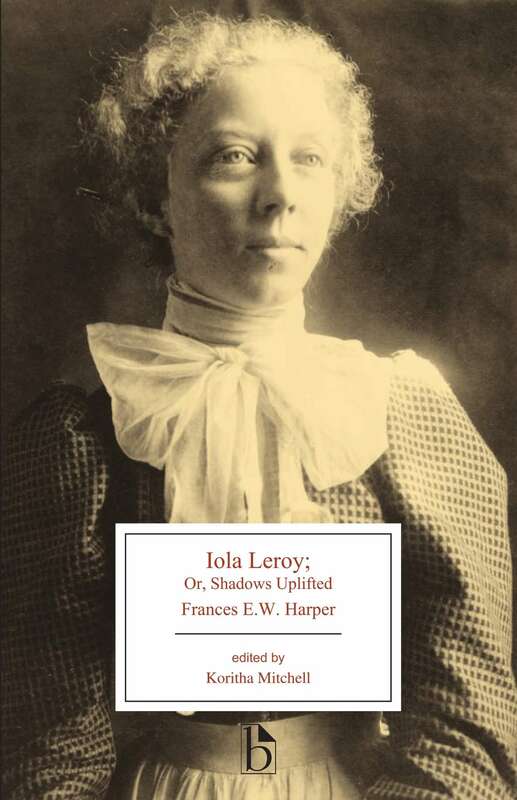 I have taught Iola Leroy almost every year since I joined the faculty at Ohio State University twelve years ago, so when I finally decided to prepare a scholarly edition of it, I was embarrassed that I hadn’t been more frustrated while teaching with the 1987 edition. Because Hazel Carby, a scholar I so profoundly respect, had written the introduction for that volume, I focused on the value of the context she offered and kept downplaying (for myself and my students) all that was missing. For instance, though Beacon Press re-printed that edition in 1999, it was not revised, so it still declared Iola Leroy to be Watkins Harper’s first and only novel. In fact, it was her fourth. Now that I have completed the project, I am excited about readers encountering the rich legacy that Frances Ellen Watkins Harper left. She was as significant as Frederick Douglass, but far fewer people know her name today. I believe this edition will help change that. Once I became interested in editing Iola Leroy, I knew I wanted to work with Broadview to provide rich cultural context. In 2012, I taught the Broadview Edition of Edith Wharton’s The House of Mirth in a class I called “Womanhood in Black and White,” and I was impressed with the historical documents Broadview placed at our fingertips. I knew Iola Leroy could be best appreciated with similar treatment. Creating this edition was an absolute thrill, largely because of the material I offer in the appendices, which foregrounds the voices and perspectives that both public and private education keep relegated to the margins. For instance, Iola Leroy tells the story of black families during slavery, the Civil War, and after Emancipation, and I wanted readers to understand that the narrative focus on black love is quite deliberate. So, in Appendix C, “Black ​Families in Slavery and Freedom,” I include letters that slave couples were allowed to dictate to each other through their “masters” and “mistresses.” Clearly, enslaved people were invested in keeping bonds strong, even when they were owned by the same people but nevertheless forced to live apart. Like the novel’s plot, the appendices cover the 1850s through the 1890s, so I have also included historical documents that highlight black familial experiences long after Emancipation. I include newspaper advertisements purchased by formerly enslaved people seeking information about loved ones who had been sold away from them.​ ​ In one, a brother is looking for a sister he has not seen in 35 years. I have taught and cherished this novel for a long time, but editing it revealed something surprising about my own development. It made me realize how secular I have become. Growing up, I not only went to the main weekly church service; I also attended Sunday school and Bible study every week. I often resented it as a youngster, but once I went away to college and then lived alone after graduating, I began truly enjoying church. It was only in my last few years as a graduate student and first few years as a professor that I stopped attending services, but I would not have said that my outlook was secular until confronted with this project. Toward the end of my work on this edition, I revisited an essay by Frances Smith Foster, a researcher who has helped several scholarly fields appreciate Watkins Harper’s significance. Her words hit me like a ton of bricks: “Such ahistorical and overdisciplined ways of thinking compel many of us in cultural studies … to walk past six storefront churches and two cathedrals while looking for a bar or rap group where we can get in touch with the ‘real’ folk.” I could not have been more guilty! Watkins Harper was very much a woman of faith, and I had not tried to do that fact justice. I immediately re-oriented myself, and it changed the way I thought about this (now fairly canonical) example of the sentimental romance genre. I believe I have now contextualized the novel for readers in a way that honors the role that Christian faith played in the author’s life and work. Still, what I believe to be this edition’s greatest contribution is its insistence upon making explicit how teachers, scholars, and general readers perpetuate injustice whenever we pretend that whiteness is neutral. Everyone is encouraged to operate as if race is an issue only when discussing people of color, but when one’s bookshelves are full of texts by white authors, that’s definitely about race! Every aspect of this edition works to make it hard for teachers and scholars to continue to pretend that whiteness has nothing to do with how they’ve been operating in the classroom and in their scholarship, and it will help general readers notice how much bias has shaped their reading habits.